Born and raised in the Netherlands, France, the United States, the United Kingdom and several other countries, Amsterdam residents RiskSoundSystem (RSS) have grown out to produce and play their eclectic sound they like to call RealHouseMusic. Driven by a strong longing for the true diverse spirit of dance music, initiator and founding member Mike Richters (of Club Risk fame) quickly gathered together some of his likeminded friends to start this fresh and innovative collective. Each of RSS’ members comes from a musically diverse background, which you will find is reflected in their live performances and productions. They don’t like to confine themselves to any boundaries. They actually like to cross all boundaries know, a true eclectic sound; house, techno, garage, disco, funk, soul, no matter how you call it … If it’s RealHouseMusic, they will play it. The group’s core members include Mike Richters (DJ/co-producer), Chocolate Brown (DJ/producer) and John Agesilas (MC/DJ), assisted by friends, family and everyone who supports their RealHouseMusic. Each individual had earned his due as a solo artist such as former member Leroy Rey. Mike Richters was a successful promoter and artist manager of Club Risk & Risk Agency (1994 – 2005). This lead him to working with big names such as Masters at Work(Louie Vega & Kenny Dope), Kerri Chandler and Ron Carroll to name a few. Chocolate Brown started DJ’ing in 1991 when living in Groningen and was one of the most important people introducing RealHouseMusic in the northern part of The Netherlands. Well known for his selection of and 'digging' for exclusive music, he shapes the musical profile of RiskSoundSystem. Producing music has been the next natural way to go, resulting in the upcoming RiskSoundSystem releases. John Agesilas is a well-known and renowned dance teacher/choreographer and MC/DJ/host, gaining world fame in underground dance movement with Juste Debout and his own House Dance Forever. His true love for house music led him to RiskSoundSystem, hyping the crowd with is unparalleled flow and style is what defines him as an excellent MC. Although they are very different characters, they share the same love for House music and have been friends for a long time. It is obvious they love to hang out and play records together when performing and that feeling reflects on the crowd. The result: always good music, a great performance and an ecstatic crowd. The first release “The Sound Is Yours” got massive support from industry icons like Ron Carroll and Kerri Chandler, who both remixed the track. Other supporting DJ’s: Roger Sanchez, Rocco, Laurent Garnier, Quentin Harris, DJ Spen and Dutch heroes like Benny Rodrigues and Sunnery James & Ryan Marciano. Check out the music video on YouTube (click on the image). The single reached nr 1 at Traxsource and featured on Defected’s “The Shapeshifters In The House”-compilation. The next track, “Closer”, with Marc Evans on DJ Spen’s Quantize Recordings was released during WMC 2013 and also featured on Marc Evans’ new LP. 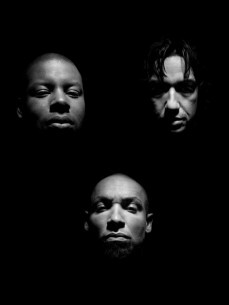 - DJ Spen: "There's nobody here who can do what these guys can do, from promoting events to DJ-ing of it. Amazing, amazing, amazing! And I'm proud to know them"
- Todd Terry: "RiskSoundSystem is nr. 1! It hangs with them. Here at O.W.A.P. People don't know what to do with themselves, they just fall down on the floor!" - Tony Humphries: "Closer is an amazing track. Soulful House with an edge. I can only take a deep bow for that."